All Materials copyright © 2011, 2012, 2013, 2014, 2015, 2016, 2017 Atlanta Marie Carrera.... ART - POETRY - CHILDREN'S BOOKS - INSPIRATIONAL WORKS. Atlanta's Art features my personal works of original Art & Poetry which I am currently offering as "Thank you" gifts for donations to charities I support. Visit the links under my "Fundraiser Series" to learn more about these specially selected pieces. HOW IT BEGAN... I first started painting for family and friends. My paintings are based on places we have been or things that are special to us. I enjoy painting because the possibilities are endless. My favorite way to paint is to create a scene by joining images from several photos I’ve taken. I love adding little details into my paintings that have a hidden meaning beyond the obvious. EXPLORING EMOTION... In combining my art with my poetry, I discovered a new way to explore emotions and merge them in my work. Blending together key elements into one painting is like piecing together a puzzle to express a story. My goal is to visually guide the reader to experience a deeper meaning. ART WITH A PURPOSE... By using my paintings and poetry for fund raising efforts, I have found a new purpose for my art. I call it “My Faith Journey.” My message is, “Follow your heart ...wherever it leads.” I love to hear stories of how my work has inspired others. 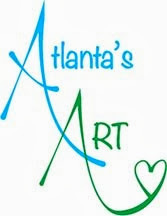 My art website is http://www.AtlantasArt.com. Contact me at AtlantasArt@ec.rr.com. Prints, Poems & Cards may be ordered through my Fundraiser Series links and by e-mailing me at: AtlantasArt@ec.rr.com. Payment for Art and Poems that are not designated for a specific charity will be collected by "Atlanta's Art" and used to fund our next project! Images & Content contained herein are property of Atlanta Marie Carrera and may not be reproduced.. Simple theme. Powered by Blogger.